Salem, OR—Governor Kate Brown today addressed the south Willamette Valley community during a meeting of the Eugene City Club at the University of Oregon She shared highlights of her budget and policy agenda for the upcoming biennium, including her priorities for health care, housing, and investing in Oregon's education system. "In many ways, Oregon is progressing on ground that many of our neighbors wish they could tread. 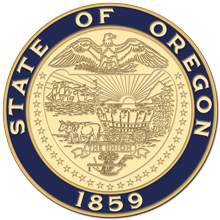 Our state is growing faster than at any point in Oregon history," said Governor Brown. "With growth comes more jobs, more ideas, and hopefully, more opportunities. Our current strong economy gives us the best chance in a generation to address persistent, structural challenges, and I look forward to working with the legislature this session to tackle them." Governor Brown took questions on topics ranging from protecting Oregon from federal rollbacks on environmental protections to the Affordable Care Act. A broadcast of the session will be aired by KLCC.